Huntington Theatre Company announces its 2017-2018 season. 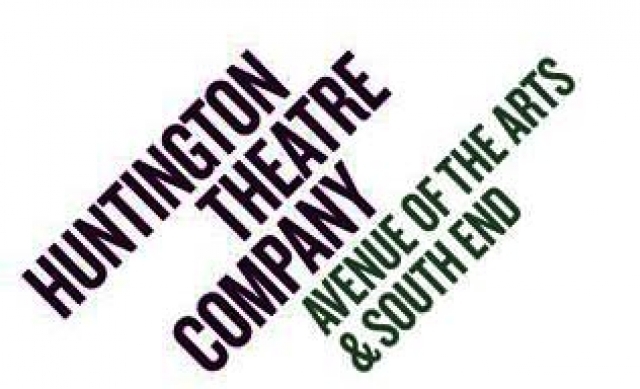 The upcoming season will include productions in the Huntington Avenue Theatre (known as the BU Theatre through June 30), and plans are underway to convert the theatre into a first-rate, modern venue with expanded services to audiences, artists, and the community. The 36th season will include four plays at the Huntington Avenue Theatre, as well as three plays at the Wimberly Theatre and one special event in the Roberts Studio Theatre, both located in the Calderwood Pavilion at the BCA in the South End. The season will comprise of world-class productions of classics made current and exciting new work created by the finest local and national talent. The lineup features a definitive production of a legendary Stephen Sondheim musical, directed by the acclaimed actor-director Maria Friedman; a new play by Huntington Playwriting Fellow Ken Urban about chance encounters and redemption; a brilliant classic by Molière directed by Huntington Artistic Director Peter DuBois; a revival of one of 2016’s Best Plays of the Year by Huntington Playwright-in-Residence Melinda Lopez; a riveting and timely new play from Dominque Morisseau; Liesl Tommy’s fresh interpretation of a Caryl Churchill contemporary classic; and from a renowned Hollywood reporter, the world premiere play about famed playwright Arthur Miller and the son he refused to acknowledge; plus one show to be announced soon. One more show in the 2017-2018 season will be announced soon. Merrily We Roll Along was produced in 2012 by Menier Chocolate Factory and on the West End in 2013 by Chocolate Factory Productions, Neil Street Productions, Sonia Friedman Productions, Bob Bartner & Norman Tulchin, Debbie Bisno, Scott M. Delman, and Just for Laughs Theatricals, Tanya Link. Devious Tartuffe charms his way into Orgon’s household and schemes to marry his daughter, seduce his wife, and run off with the family’s fortune. Orgon remains entranced despite the appalling evidence of Tartuffe’s behavior – will he see through this con man before it’s too late? Molière spins religious piety and hypocrisy into high comedy in this hilarious and biting satire, one of the world’s great plays. “A classic gem. Laugh-out-loud funny,” says The New York Times. In the breakroom of the last small auto plant still standing, a makeshift family of workers swap stories, share dreams, and take pride in their work. When confronted with the possibility of the factory closing, power dynamics shift and each is pushed to the limits of survival. Inspired by August Wilson’s Century Cycle, Morisseau’s bold and compassionate new play is part of her Detroit Project cycle of plays. “A very fine new play! Warm-blooded and astute,” says The New York Times. Career-driven Marlene has just landed the top job at a London employment agency over a male colleague. To celebrate, she hosts a lavish dinner with a group of famous and adventurous historical women who cheer the successes and bemoan the sacrifices required to be a “top girl” in a man’s world. Churchill’s groundbreaking masterpiece, originally a rebuke of Margaret Thatcher’s England in the 1980s, remains as relevant and powerful today. “Very funny and provocative. A mind-lifting experience,” says the NY Post. Arthur Miller, the most celebrated American playwright of the 20th century, was said to be the moral conscience of the nation, but he had a secret: a son born with Down syndrome whom he refused to acknowledge. Renowned Hollywood reporter Bernard Weinraub explores the fascinating untold story of Miller and his third wife, photographer Inge Morath, and the divide between their public personas and private lives. “For all the public drama of Arthur Miller’s career, one character was absent: the child he deleted from his life,” says Vanity Fair. "It was a true joy collaborating with Melinda on the premiere of her play, Mala," says director David Dower, also co-Artistic director of ArtsEmerson. "The humor, intelligence and courage that Melinda brought to her writing immediately resonated and provided a great foundation to tell her important story, universal to so many." For more information about the artists in the Huntington’s 2017-2018 season, visit huntingtontheatre.org/season/2017-2018/.